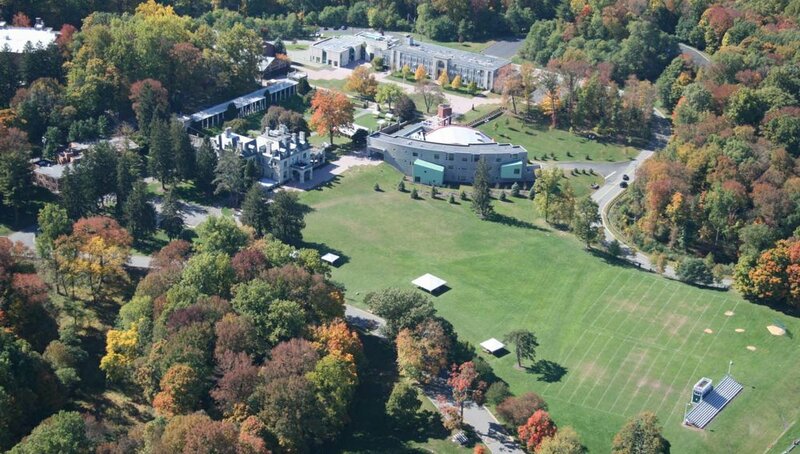 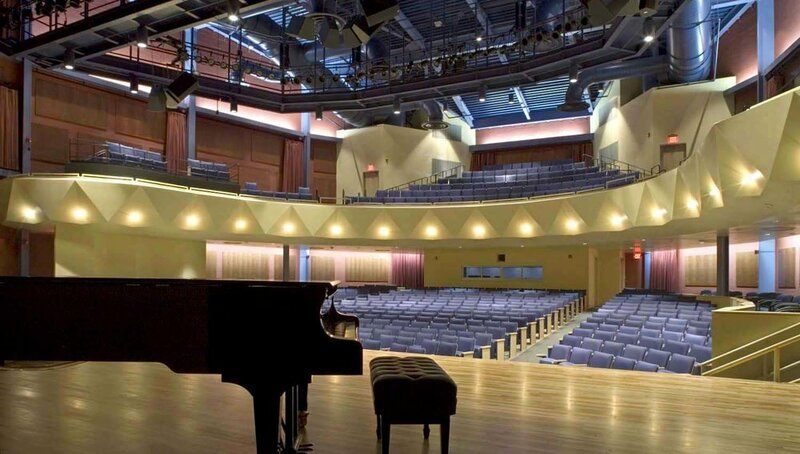 Delbarton’s 36,000 square foot Fine Arts Center occupies a prominent location on the campus and is sited to complete the fourth side of the campus quadrangle. 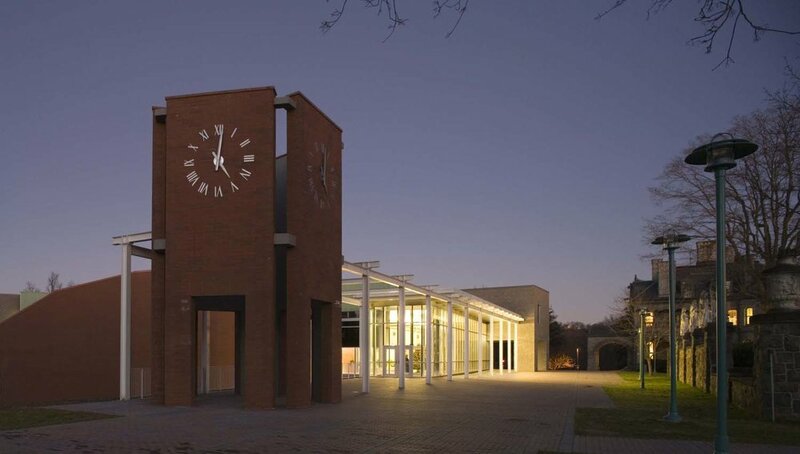 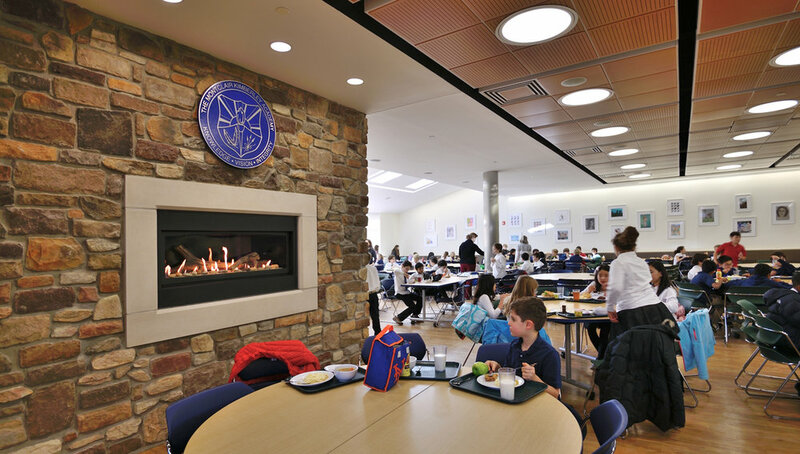 The design is a modern interpretation of the school’s predominantly stone buildings. 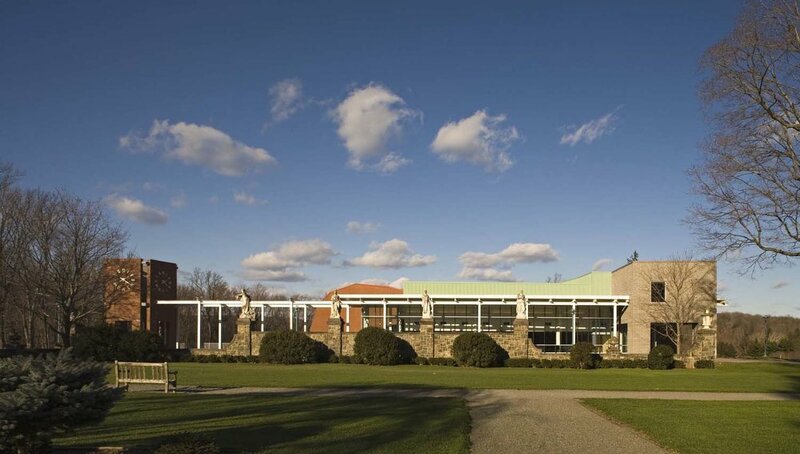 The center is organized into three main elements: a new pergola/lobby parallels the existing pergola and formal garden; a three‐story performing and visual arts wing arcs behind large hardwood trees taking advantage of eastern views; and a theater, axially aligned with the chapel, is nestled between the lobby and performing and visual arts wing. 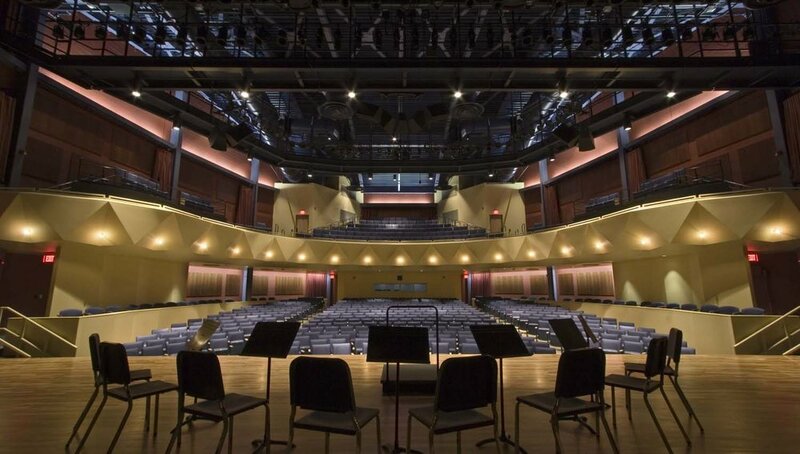 The project includes a 630‐seat theater with support spaces and a music and arts wing which houses rehearsal halls, the main lobby and studios for sculpture, pottery, drawing, photography and computer graphics.